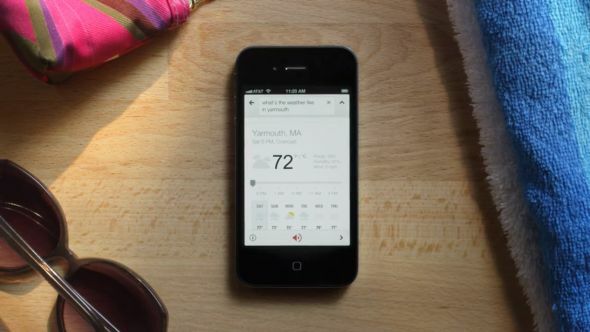 Just weeks after Android 4.1 Jellybean and its killer Google Now feature were released to the world, Google has announced its adding this new voice search functionality to its Google Search App for iOS. You’ll be able to tap an icon and ask for movie times, weather, sports scores, restaurants reviews, the works! Given that Siri already provides this functionality on iOS, its quite interesting that the big G would even opt to include it. The update will be available on iPhone and iPad with iOS version 4.2 and up. There is no official ETA for the update to the Google Search App, but according to Google “It’ll soon be available”. This comes on the heels of Google releasing its Chrome browser in the app store to compete with the stock iOS web browser. See the video below for a preview of the app in action. So how do you feel about the addition of voice-search to the Google Search app? Will you use it instead of Siri? What other Google services and features would you like to see added to iOS? What do you think Apple’s reaction will be, if any? Tell us in the comments!